It was fishermen off the coast of Peru who first recognized the anomaly, hundreds of years ago. Every so often, their usually cold, nutrient-rich water would turn warm and the fish they depended on would disappear. Then there was the ceaseless rain. They called it “El Niño” — The Boy, or Christmas Boy — because of its timing near the holiday each time it returned, every three to seven years. El Niño is not a contemporary phenomenon; it’s long been the Earth’s dominant source of year-to-year climate fluctuation. But as the climate warms and the feedbacks that drive the cycle change, researchers want to know how El Niño will respond. A team of researchers led by the University of Wisconsin’s Zhengyu Liu will publish the latest findings in this quest Nov. 27 in Nature. “We can’t see the future; the only thing we can do is examine the past,” says Liu, a professor in the Department of Atmospheric and Oceanic Sciences. The study examines what has influenced El Niño over the last 21,000 years in order to understand its future and to prepare for the consequences. It is valuable knowledge for scientists, land managers, policymakers and many others, as people across the globe focus on adapting to a changing climate. Using state-of-the-art computer models maintained at the National Center for Atmospheric Research in Colorado, the researchers — also from Peking University in China, the University of Hawaii at Manoa, and the Georgia Institute of Technology — determined that El Niño has intensified over the last 6,000 years. The findings corroborate data from previous studies, which relied on observations like historical sediments off the Central American coast and changes in fossilized coral. During warm, rainy El Niño years, the coastal sediments consist of larger mixed deposits of lighter color, and the coral provides a unique signature, akin to rings on a tree. Like an uptick in tempo, the feedbacks between ocean and atmosphere — such as how wind and seas interact — have grown stronger. But unlike previous studies, the new model provides a continuous look at the long history of El Niño, rather than a snapshot in time. It examines the large-scale influences that have impacted the strength of El Niño over the last 21,000 years, such as atmospheric carbon dioxide, ice sheet melting and changes to Earth’s orbit. 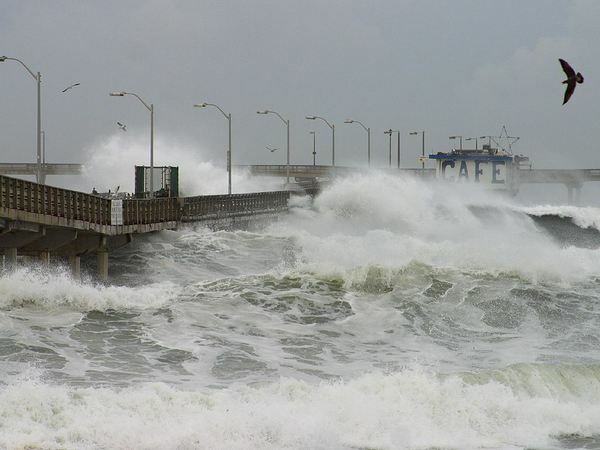 El Niño is driven by an intricate tango between the ocean and the Earth’s atmosphere. In non-El Niño years, trade winds over the tropical Pacific Ocean drive the seas westward, from the coast of Central America toward Indonesia, adding a thick, warm layer to the surface of the western part of the ocean while cooler water rises to the surface in the east. This brings rain to the west and dry conditions to the east. During El Niño, the trade winds relax and the sea surface temperature differences between the western and eastern Pacific Ocean are diminished. This alters the heat distribution in both the water and the air in each region, forcing a cascade of global climate-related changes. Before the start of the Holocene — which began roughly 12,000 years ago — pulses of melting water during deglaciation most strongly influenced El Niño, the study found. But since that time, changes in Earth’s orbit have played the greatest role in intensifying it. Like an uptick in tempo, the feedbacks between ocean and atmosphere — such as how wind and seas interact — have grown stronger. However, even with the best data available, some features of the simulated El Niño — especially prior to 6,000 years ago — can’t be tested unambiguously, Liu says. The current observational data feeding the model are sparse and the resolution too low to pick up subtle shifts in El Niño over the millennia. The study findings indicate better observational data are needed to refine the science, like more coral samples and sediment measurements from different locations in the Central Pacific. Like all science, better understanding what drives El Niño and how it might change is a process, and one that will continue to evolve over time.